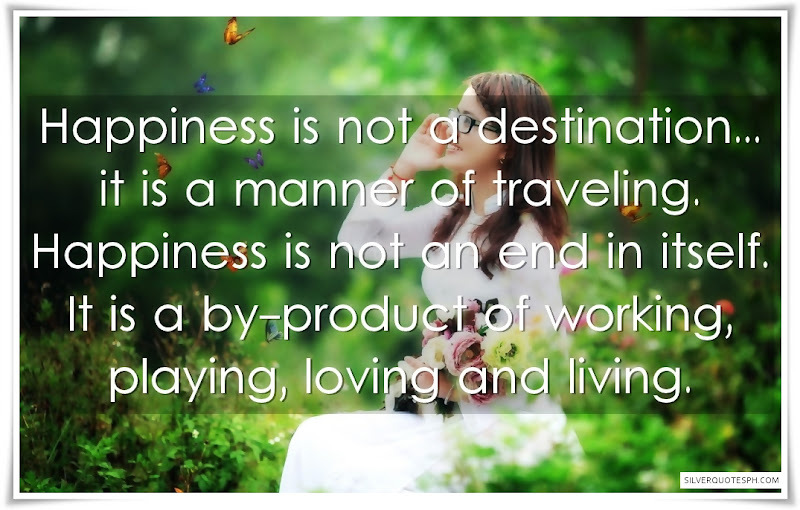 Happiness is not a destination... it is a manner of traveling. Happiness is not an end in itself. It is a by-product of working, playing, loving and living.